Property and staff were fantastic. Food st pool was over priced. Unfortunately, we got sick during our vacation but the Fairmont made it extremely comfortable. The hotel is five stars. Fantastic views of the ocean and beautiful grounds. Friendly staff. Good service overall. Ideal for families with small children- absolutely no need to leave the resort, unless you feel like exploring the island. If you want to shop, or need groceries, the hotel shuttle will drop & pick up to the fabulous mall 3 mins away. From the staff to the accommodations to the food, this resort is consistently the best all around. Everything was easy, comfortable, and enjoyable. It's the reason why our family comes back year after year. The Fairmont is so beautiful and comfortable! I loved everything about my stay there. The staff were so nice and accommodating my room was spacious and beautiful and very clean it was all around amazing thank you Fairmont for a fabulous dream vacation! There were some issues with the bathtub/shower and leaking in the bathroom. But after that, it was beautiful and peaceful. Staff were all courteous, kind, helpful. Amazing time, from the food to the activities. Planning my next trip/stay already. 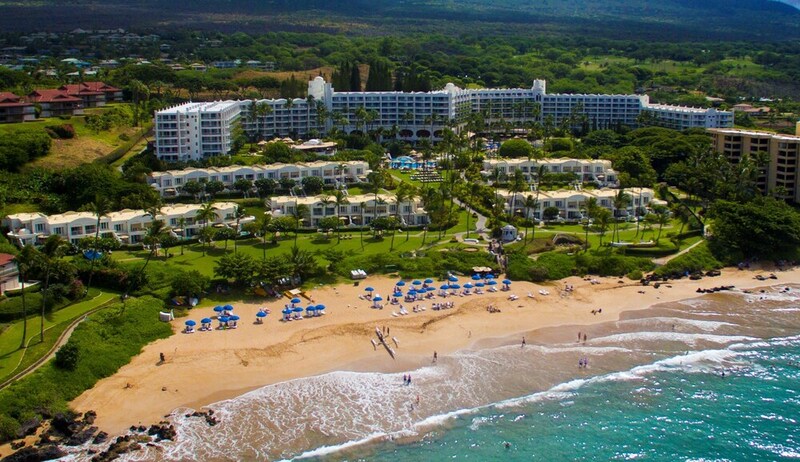 Located in Wailea within a short walk of Wailea Beach, Fairmont Kea Lani Maui is within 2 miles (3 km) of other popular sights such as Keawakapu Beach. This 450-room, 4.5-star resort welcomes business and leisure travelers with 3 indoor and 3 outdoor pools and a full-service spa. Have a drink at the bar or enjoy dining at one of 4 onsite restaurants, such as Kea Lani Restaurant, which specializes in American cuisine and serves breakfast. Savor a meal from the privacy of your room with 24-hour room service, or get a pick-me-up at the coffee shop/café. Buffet breakfast is offered for a fee each morning from 6:30 AM to 11:00 AM. A flat-screen TV comes with cable channels and pay movies, and guests can stay connected with free WiFi and wired Internet. The pillowtop bed provides a full night's sleep, and the bathroom offers a soaking tub, hair dryers, and designer toiletries. Other standard amenities include a lanai, an iPod dock, and a sofa bed. Awarded Conde Nast Top 100 List status in 2017, Fairmont Kea Lani Maui features a full-service spa, 3 indoor pools, and 3 outdoor pools. Onsite parking is available, both free self and paid valet parking (USD 35.00 per night)—also useful is limo/town car service. Multilingual staff at the front desk are standing by 24/7 to help with concierge services, securing valuables, and luggage storage. Other amenities at this beach resort include a children's pool, a health club, and 2 spa tubs. Kea Lani Restaurant - Restaurant specializing in American cuisine. Open daily for breakfast. Ama Bar & Grill - Restaurant specializing in American cuisine. Open daily for lunch. Ko - Restaurant and bar specializing in international cuisine. Open daily for lunch and dinner. Kid's menu available. Nicks Fishmarket - Fine-dining restaurant and bar specializing in seafood. Open daily for dinner. LUANA - Bar. Open daily. 3 outdoor swimming pools and 3 indoor swimming pools are perfect for a swim, and the resort also has 2 spa tubs. A children's pool, a waterslide, a health club, and a sauna are other recreation options. Reservations need to be made in advance for spa treatments. Contact the resort at the phone number listed on your booking confirmation. Fairmont Kea Lani Maui is listed in the 2017 Condé Nast Traveler Top 100 List.